Portland International Film Festival (PIFF) is upon us again, and we have whittled down their list of 100+ international shorts and full-length films to pick what we have determined to be the best and most interesting of the bunch. 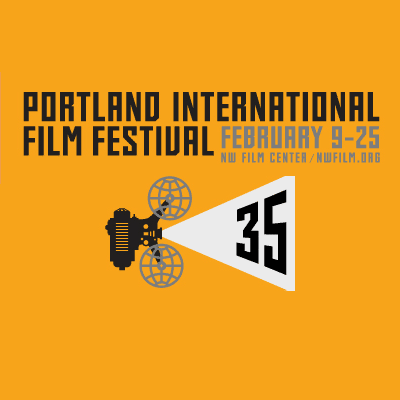 Portland International Film Festival 2012 runs from February 9th through the 25th, with more than one screening for most movies (exceptions generally being shorts and midnight film series). Looking for something to do this upcoming week? How about one of these films? Those interested in documentaries can see a list of documentaries we recommend for PIFF 2012 or see here for all PIFF coverage. Snowtown is director Justin Kurzel’s examination on a series of murders throughout the 1990s, all committed under the leadership of Australia’s most famous serial killer, John Bunting. A terrifying suburban horror film, rooted in real life mysteries. Winner of the Jury Prize at Cannes Film Festival. All hail Czech surrealist Jan Svankmajer, who is back – surprisingly – with a new film! Here, Svankmajer explores the human subconscious and dreams; a man who finds himself repeatedly dreaming about a mysterious fictional woman consults a doctor on how he can delve deeper into dreamland, to continue his new romantic saga. Gael Garcia Bernal’s latest movie has him alongside Hani Furstenberg, in a romantic drama about a couple that was madly in love but fall apart once resentment and disappointment seeps in silently. A character portrait on how contempt and wordless physical and mental cues can transform the course of a relationship. Father and son, both working in Israel as Talmudic scholars, must learn how to resolve a conflict of pride when one is mistakenly told he has won the famed Israel Prize. A film adaption of Haruki Murakami’s novel of the same name, Norwegian Wood. Is a slow-paced romantic story about dysfunction, tragedy, and love. Beautifully shot, with a soundtrack crafted by Jonny Greenwood of Radiohead. This is the second film in Romanian director Cristi Puiu series, Six Stories From The Outskirts Of Bucharest, where a seemingly “normal” guy commits intensely violent acts, driving home the message the perspectives can always be challenged. A film professor finds that notable circumstances in his life keep reoccurring day after day, challenging him to determine whether his days have become mind-numbingly routine or if the same day is somehow replaying over and over again. In this unlikely romantic comedy, two strangers – who have just met after a one-night stand – find themselves in close quarters after massive alien spaceships arrive in Madrid. This Thai epic oscillates back and forth between mirth and tragedy, life and death, past memories in a spiritual and poetic way that is at once confusing and enrapturing.